A Palestinian family in the Sheikh Jarrah neighborhood of occupied East Jerusalem received an order, from the Israeli authority’s Law Enforcement Department, on Saturday, to evacuate a building it owns, and where five Palestinian families live, by January 23rd. 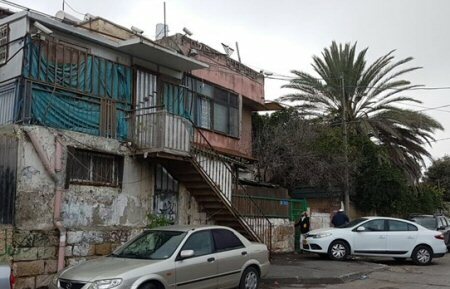 According to the Civic Coalition for Palestinian Rights in Jerusalem (CCPRJ), the building would be turned over to Israeli settlers who had claimed ownership of the building. In 2012, the Sabbagh family had filed a law suit, at the Israeli District Court in Jerusalem, against Israeli settlers’ claim that they own the land in question, according to Ma’an. The Sabbagh family had provided the court with evidence proving ownership of the land and that Israeli setters’ land registration process, done in 1972, was illegal and improper; therefore, their claim of ownership was null and void. The court nevertheless ruled in favor of the settlers on their claim that the statute of action has expired. The family, through its lawyers, appealed the ruling to the High Court, on November 15, 2018, which rejected the appeal and upheld the District Court’s decision. The center added that family’s lawyers re-appealed the High Court’s ruling by asking for a five-judge panel, instead of three, and this was rejected as well, which left the eviction of the five families imminent. In related West Bank news, Israeli forces forced 13 Palestinian families to evacuate from their homes in northern Tubas, on Sunday, in order to make way for active military training. According to Aref Daraghmeh, who monitors Israeli settlement activities in the area, said that Israeli forces stormed Khirbet Ibziq, in the Tubas district, and forced 13 families to evacuate their homes for the next 24 hours, for military training in the area. Palestinian residents of the Jordan Valley regularly face evacuations and interruption due to Israeli military exercises on or near their land. The district of Tubas, meanwhile, is one of the occupied West Bank’s most important agricultural centers. The majority of the Jordan Valley is under full Israeli military control, despite being within the West Bank. Meanwhile, at least 44 percent of the total land in the Jordan Valley has been appropriated by Israeli forces for military purposes and training exercises. According to the Palestinian nonprofit, the Applied Research Institute – Jerusalem (ARIJ), more than 400,000 dunams (98,842 acres) of the 720,000 dunams (177,916 acres) that make up the total area of the Jordan Valley has been transformed into closed military and firing zones, with at least 27,000 dunams (6,672 acres) confiscated for illegal Israeli settlement building.